There’s a lot to consider when buying a new AC Unit for your home. One such consideration is whether or not to buy the extended warranty. Choosing a new HVAC system sounds more daunting than it really is – if you do your due diligence. Choosing the right contractor and reading articles like this will help you make all the right moves. Not doing your homework upfront on a central A/C & heating system purchase can cost you thousands of dollars. In fact, not even an extended warranty can help a new AC unit that’s installed poorly. Not to sound all doom and gloom, but unfortunately, I see it all the time. The fact that you’re researching before purchasing is a smart move on a purchase this large. This is especially true for people who chose the “low bidder” to install their new HVAC system. All too often, they find out after it’s too late, that the company bid low on one too many jobs. AC Companies Go “Out of Business” All the Time! Low bidders go out of business leaving their customers in a bad spot. In the worst cases, the customer finds out they don’t have the extended warranty coverage they thought they did. They really need it because they are now finding out whythe contractor was able to bid so low. But I digress, this article covers the pros and cons of buying the extended warranty on a new AC unit. I’ve written many articles about choosing the right contractor that will help you if you haven’t already bought your unit. I highly recommend you search our blog and read these articles as well. You may just save thousands of dollars and avoid a lot of aggravation. How Important is an Extended Warranty on a New AC Unit? The extended warranty on a new AC unit is expensive, is it even necessary? We get questions like these on a daily basis. So, I decided the best thing I could do for our readers is inform you what you are actually buying. You’re in the buying process – you’re gathering new ac unit prices & information. You’ve already had a new ac unit installed – you’re currently having, or have had problems with your new system. Hopefully you are the former and not the latter. Either way you’ll find the information you’re looking for in this article. One of the things you’re considering: Is the extended warranty worth the additional expense? There are some things you should know first in order to make an informed decision. In order to make an informed decision about the ROI of buying an extended warranty for your new AC unit you should also read this article: How Long Does An Air Conditioner Last? Who is Actually Covering the Extended Warranty on a New AC Unit? Who underwrites the warranty coverage you’re buying? Don’t assume it’s the air conditioner manufacturer themselves, it may not be. Let’s examine three possible underwriters of air conditioner and heating system extended warranties, and the pros and cons of each. Years ago, most HVAC manufacturers would underwrite their own extended warranties. There are still a few who actually ownthe warranty company providing the coverage. The warranty company is usually a separate company but owned by the same mother company as the factory. Today, most HVAC manufacturers utilize a third-party warranty company and have removed themselves from the extended warranty business altogether. They may call it a “factory” warranty, but often you are covered by a 3rdparty warranty company. Security / Reliability– The major air conditioning manufacturers are all multi-billion-dollar, global companies. Typically, they’re owned by even larger corporations or investment groups. The chances of the company going out of business are extremely slim. In other words, you’ll never have to worry about the warranty being useless. Authorized Contractor Network – Should your installing contractor no longer be available, or you prefer not to work with them, any factory authorized contractor should honor the warranty. Limitations / Exclusions / Denials– Lots of fine print. Including the requirements for proof of semi-annual maintenance, time-limits on claim submittals, inspection clauses, etc. The fine print is being enforced more and more in my experience and we are seeing more claims denied as a result. High Upfront Cost – The high upfront costs of extended warranty labor coverage directly from the manufacturers still shocks me to this day. In some cases, the cost of the warranty can be almost 1/3 of the cost of the unit itself…including installation. Most people immediately think this is the best (and safest) option, and years ago I would have agreed without question. A warranty of any sort is only as good as the company backing it up. So. it would seem if warranties were the company’s “product”, you’d have the best coverage, right? I believed that until about 10 years ago when the two largest extended warranty companies in the HVAC Industry filed bankruptcy! What ensued thereafter was a nightmare for customers, manufacturers, and contractors alike. As far as my own company, Magic Touch Mechanical was concerned, this was one of the most expensive and frustrating business lessons we ever learned – and we learned it the hard way! Who would ever think a warranty company could go bankrupt in the first place? If they do, are those plans backed the same way your homeowner’s insurance policy is? Or the way your money in the bank is insured by the FDIC? Well it did happen! Tens of thousands of people across the country were faced with claims that weren’t being processed and were just “on-hold”. The problem with that for policy holders was, while all claims were on-hold, they still needed heating and cooling! Were they just supposed to sit and wait for their new ac unit or furnace to be repaired? Should they pay out of pocket and hope they were reimbursed? The dilemma for installing contractors was: Do we lay out tens-of-thousands, possibly hundreds-of-thousands of dollars to repair every affected clients’ broken equipment? With the hope we’d be reimbursed by a bankrupt company! Ultimately, we decided to do just that for Magic Touch Mechanical clients – and lost many thousands of dollars as a result. However. many contractors wouldn’t or simply couldn’t do the same. Less established, and smaller contractors simply did not have the means to absorb the costs involved. Some larger contractors just left their customers swinging in the breeze. 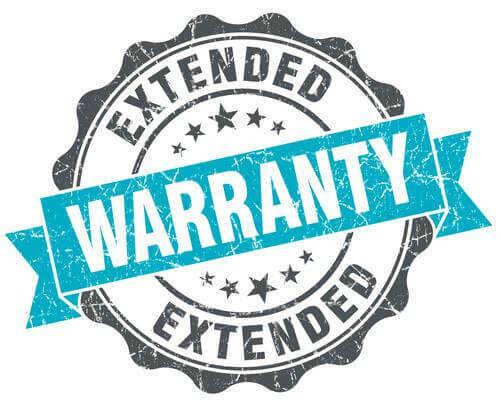 Ultimately, the extended warranty contract is between the customer and the warranty company. The installing contractor is listed as a service provider, but not responsible for the warranty company’s actions – or inaction. Should You Buy a 3rdParty Extended Labor Warranty on a New AC Unit? Suddenly, the thought of purchasing an extended warranty sounded more like a gamble than not buying one! During the process we actually encouraged our new clients to hold off on buying an extended warranty. The good news is, we’ve seen stability in this industry for the last decade. Tighter regulations are supposed to hopefully prevent the debacle we saw years ago. Then again, I’m once bitten so…you know! Coverage Options / Flexibility –Customizable coverage options allow the customer to choose term lengths, cover ancillary items i.e. controls, air cleaners, etc. Coverage available on a wider selection of brands, products, and models. Lower Upfront Costs– Typically lower costs plans are available from 3rdparty companies vs. factory plans. Is it a Manufacturer Extended Warranty – ASK! Don’t just assume it’s the manufacturer providing the coverage you are buying. Since most people never think otherwise, most neglect to ask. Many manufacturers have moved away from their own in-house warranty. Instead, they introduce contractors to third party warranty providers in order to offer an all-encompassing service to their contractor network and end-user. The contractor in-turn does the same. Industry people still refer to it as the manufacturer extended warranty – because everyone knows what that means. Nobody asks if you want the “third-party extended warranty”. This is not uncommon in any industry by the way. It seems like you can’t but a pack of gum anymore without the cashier asking if you want to by the extended warranty nowadays. Some HVAC Contractors provide extended labor warranties in-house. Rather than relying on a third-party company they establish a “reserve account” (or at least they should) to fund any claims they have to cover. I implore youto do your due diligence before deciding to purchase an in-house extended warranty from an air conditioning company. Home service companies and contracting businesses have the second highest business failure rate after restaurants! An extended warranty is worthless if the company that backs it is no longer in business. Has the company been around a long time?If the company has been in business for 15-20 years or longer they’re most likely financially stable. Take it from a guy who started out of his garage and built a large air conditioning company: The first ten years in business are trying times – it always felt like we were on the brink of failure! What’s the company’s address? Wondering why that matters? If the company is operating out of the owner’s home or strip-mall rental, they have less “roots” in the community. A company that owns its own building is more likely well-established. Professionally marked trucks, uniforms, etc. A company that invests in its image and people is clearly showing their customers they intend to stick around. It’s not uncommon for a technician to start a company only to discover running a profitable business isn’t easy. An extended warranty isn’t worth the paper it’s written on if the company is gone at the end of summer. Vested Interest – The company providing the coverage has a vested interest in reducing breakdowns. You will most likely get a much more laser focused maintenance visit from a company that has to pay out of pocket for replacement parts. It’s in the company’s best interest to fix minor problems before they become major problems. Lower Upfront Costs– Typically in-house plans are lower cost plans vs. the two other options. Security / Reliability –Choosing the wrong company can render the warranty worthless. Home service companies have a very high failure rate in the first 10 years in business. Statistically, they are still at risk in years 11-15. Should You Pass on the Extended Warranty Altogether? Everyone’s threshold for risk is different. Most likely the parts of your new AC unit are covered by a 5-10-year warranty. Extended warranties typically cover the labor portion of a repair. There’s a lot more than just the technician’s hourly rate that goes into this cost. People are often surprised by how much the uncovered portion of a repair can cost. They compare it to their own hourly pay without accounting for all the other costs a company incurs – and must pass on to stay in business. I personally don’t purchase extended warranties on anything that costs less than a $1000 or so. Sometimes I win – sometimes I lose. When I buy a several thousand-dollar laptop, tool or mechanical product, I almost always cover myself. Sometimes I win – sometimes I lose. Extended warranties are like insurance – you don’t need them – until you need them! Just keep in mind that even the best electronic and mechanical equipment can fail. Often at no fault of anyone’s – bad things happen to good people all the time. If the equipment does fail and you have to come out of pocket, don’t shoot the messenger. It’s not the contractor’s fault when a component fails (unless it was installed wrong). Statistically you have a better chance of not needing the warranty than needing it. But, it’s sure nice to have when it’s your unit that has a breakdown! My advice is; if you’re the type of person that gets bent out of shape when a product has a breakdown – you should invest in an extended warranty. If you’re more thick-skinned and like the gamble – don’t get the warranty. You may win!